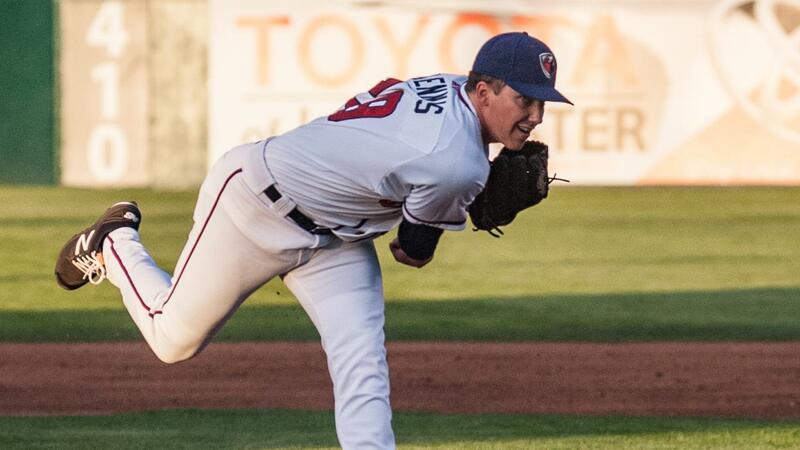 LAKE ELSINORE, Calif. - After clinching a spot in the postseason late Saturday night, the playoff-bound JetHawks returned to the field Sunday evening and fell to the Lake Elsinore Storm, 4-2, at The Diamond. The loss was the eighth-straight road loss for Lancaster (70-69, 37-32) and its 12th loss in its last 13 road games. With the win, Lake Elsinore (67-72, 32-36) has taken the first three games of the four-game series. The Storm scored all of their runs in the third inning against starter Matt Dennis (8-13). The right-hander had made only 25 pitches over the first two innings but had to make 37 in the third as he faced nine Lake Elsinore batters. Edward Olivares delivered a run-scoring single to break the scoreless-tie and Luis Torrens followed with a two-run hit. Dennis would go on to complete six innings in his final regular season start. He allowed the four runs on nine hits with six strikeouts and one walk. The JetHawks failed to score against Storm starter Caleb Boushley (1-1) who was making his first start of the season after 37 relief appearances over three different levels in the San Diego organization. He allowed only three hits, struck out five and did not issue a walk. Lancaster scored its first run in the top of the seventh inning on a Joel Diaz hit. Vince Fernandez, who had singled to start the inning, scored from second on the play, but Willie Abreu was thrown out try to take third base on the throw to the plate. Carlos Herrera led off the eighth inning with a triple and scored on a Bret Boswell infield single, but David Bednar entered from the the bullpen to relieve left-hander Ben Sheckler and struck out back-to-back batters to limit Lancaster to one run. Bednar returned for the ninth inning and allowed a lead-off hit to Luis Castro. Two batters later, Diaz lined one to the gap in right field but was thrown at second base by Olivares. Bednar picked up the final out to notch his 10th save. The JetHawks and Storm will finish the series and regular season in a 5 p.m. game on Monday in Lake Elsinore. Reggie Lawson (7-5) is scheduled to start for the Storm. Lancaster has not yet announced a starter for the game. Lancaster enters the final game of the season just one game above .500 and will look to extend its franchise-best winning season streak to seven with a victory in the finale.